The game was about as pretty as the players’ muddy uniforms by night’s end. Then again, there are no style points when it comes to victory. 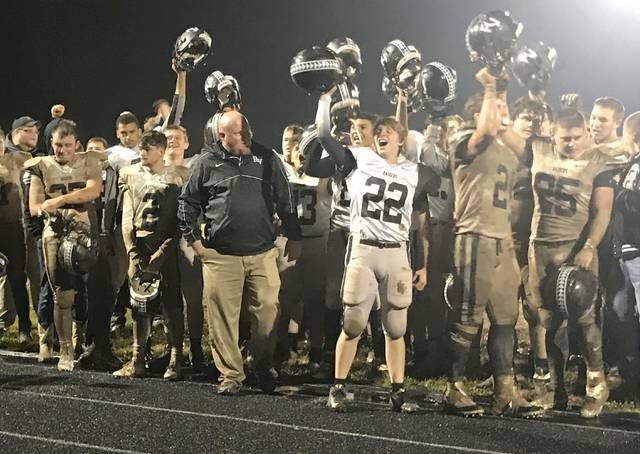 Jason Peck picked up his first victory at River Valley against the team he previously coached at the prep level as the Raiders claimed an 8-0 decision over host South Gallia in the first-ever meeting between Gallia County programs in Mercerville. 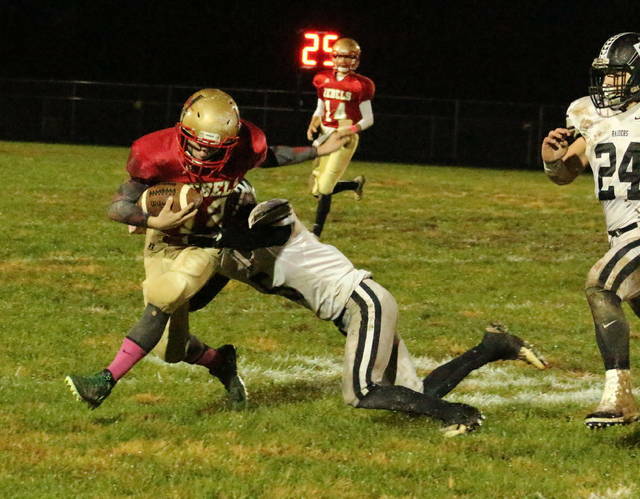 The Raiders (1-9) scored with 53 seconds left in the opening period as Jared Reese hauled in a 15-yard over-the-shoulder pass from Jordan Burns in the right end zone, then Cole Young tacked on a 2-point run for all of the offensive output in the contest. 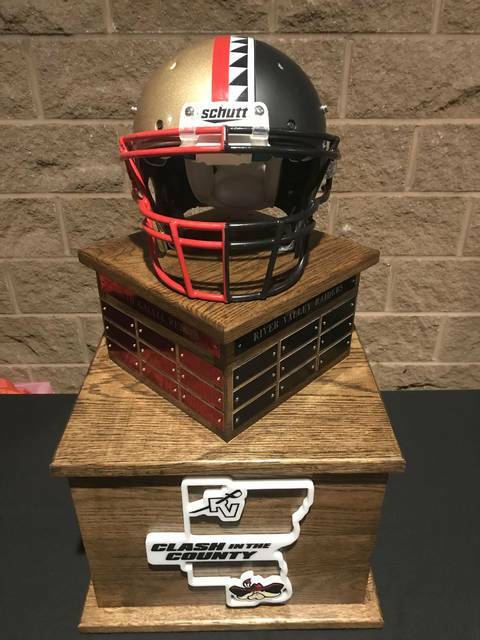 Both teams had chances throughout the remainder of the contest, but the Silver and Black held on to win the coveted Clash in the County trophy — which will go to the winner of each season’s game in the future. A complete recap of the Week 10 contest between River Valley and South Gallia will be available in the Tuesday sports editions of the Gallipolis Daily Tribune, Point Pleasant Register and The Daily Sentinel.